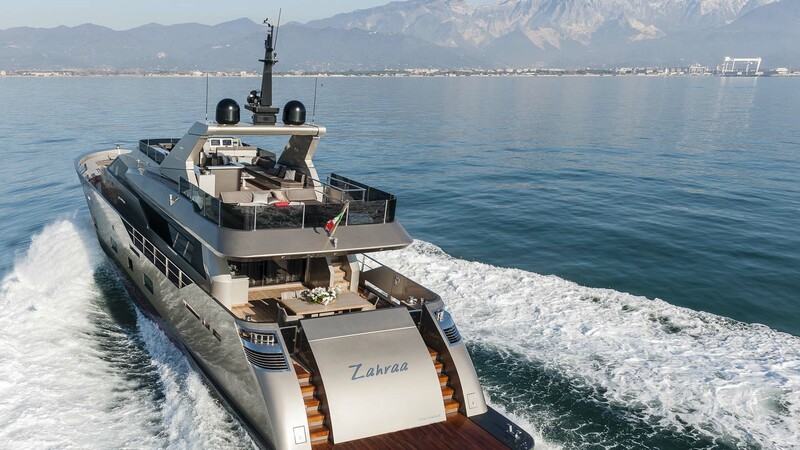 Zahraa is a super luxury yacht 30 meters long equipped with two powerful CAT C 32 ACERTs of 1800 HP each. 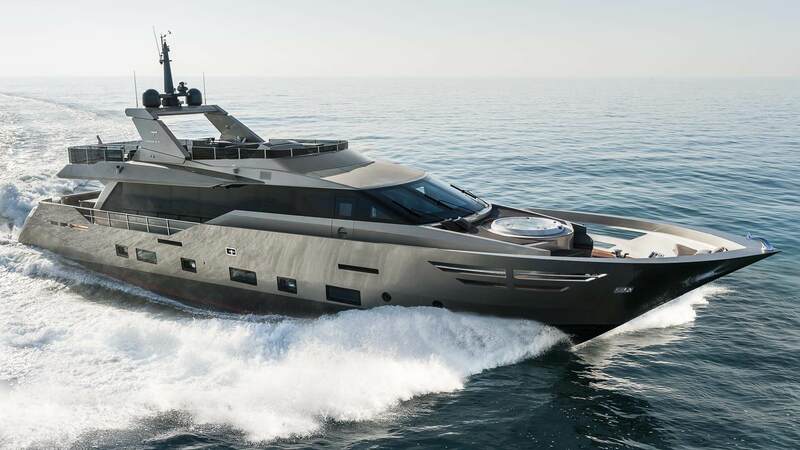 It can reach 20 knots speed. 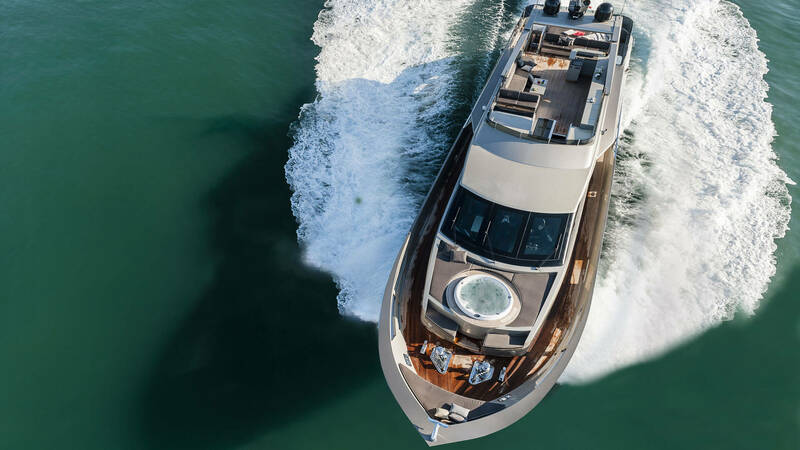 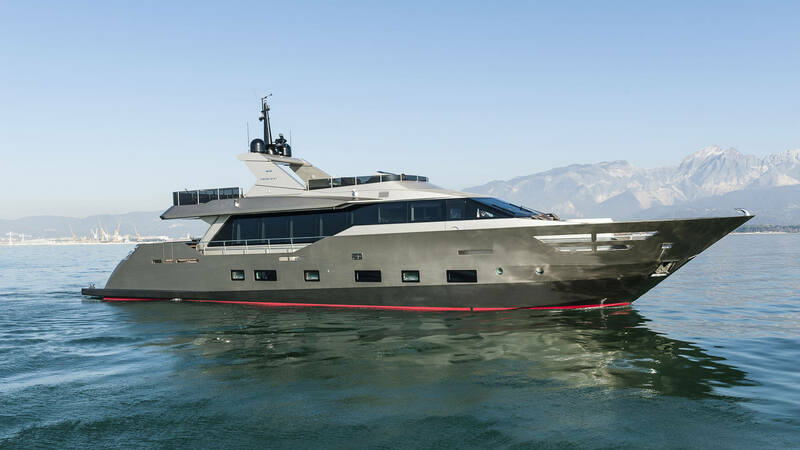 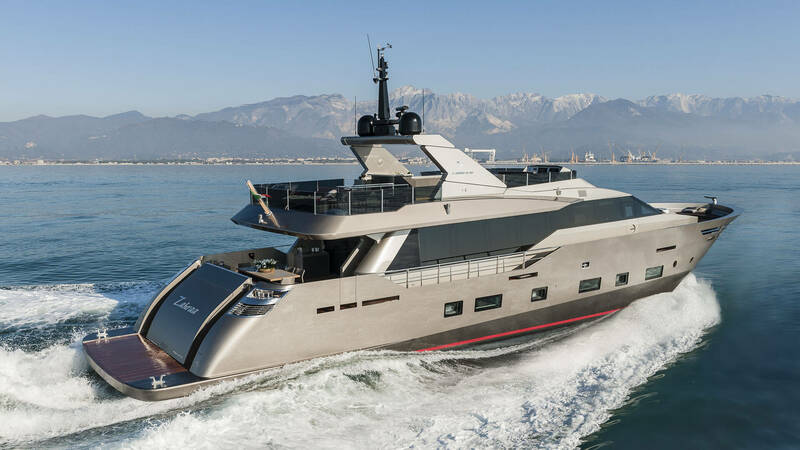 A catchy and innovative profile underlined by the bronze hull with red line and a metal grates on the stern. 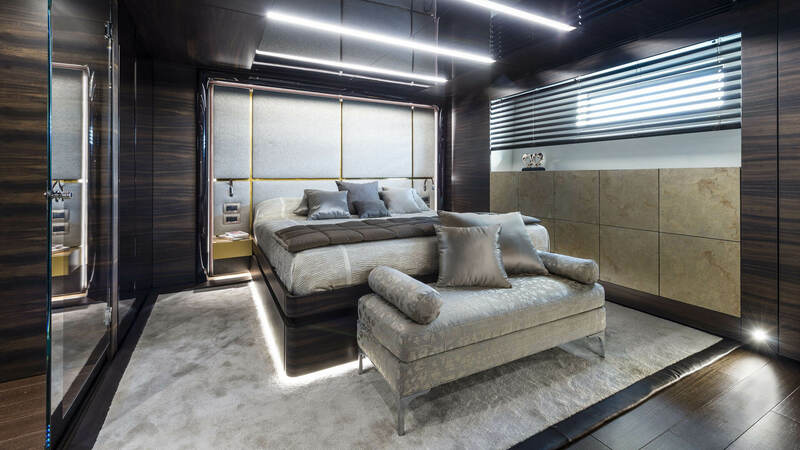 The external areas are very spacious. 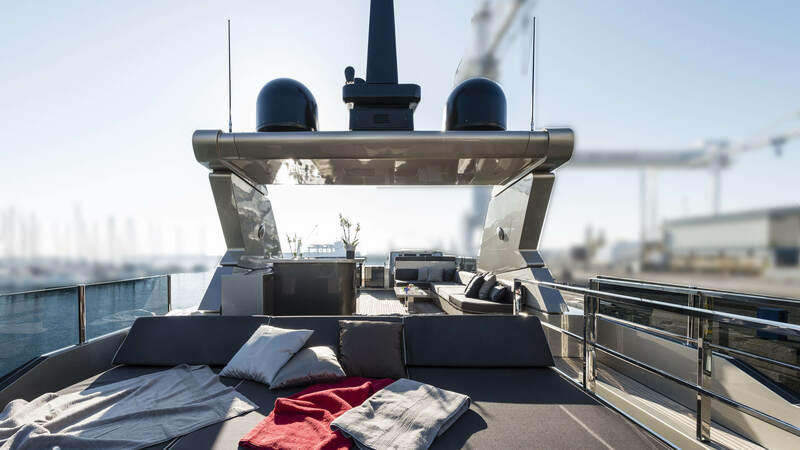 On the main deck there is a wide user friendly area with bunk sunsuit and a Jacuzzi on the bow, a great teak and inox steel lunch table to welcome 10 people. 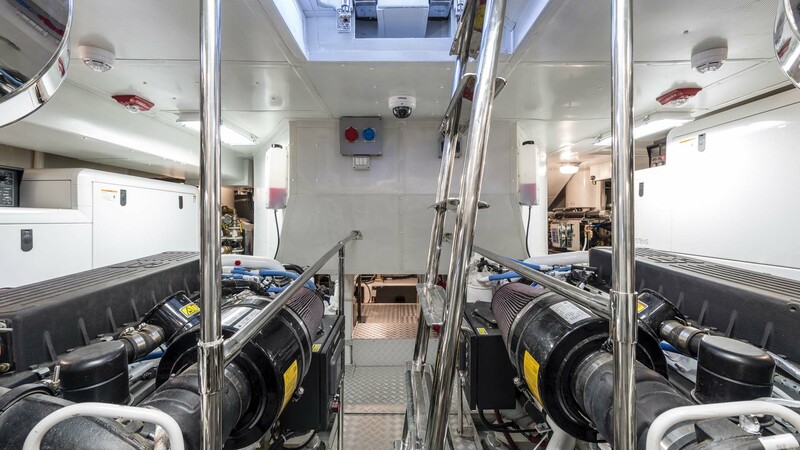 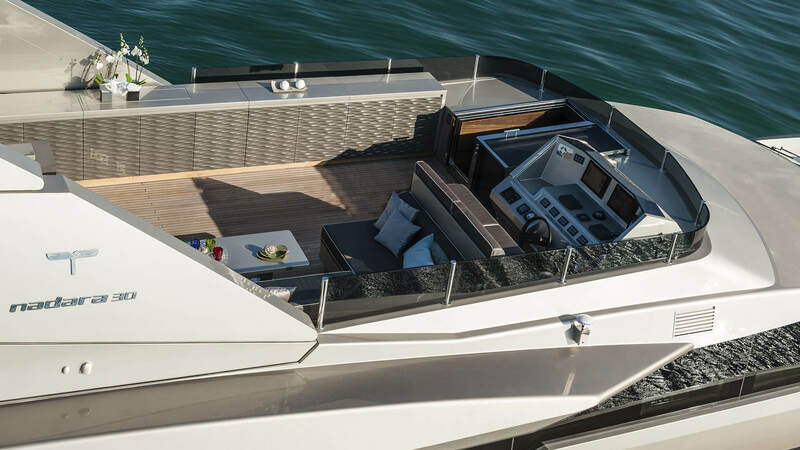 The wide sundeck has an inside/outside access staircase and a raised pilot house, sofas, bunk sunsuit and a bar. 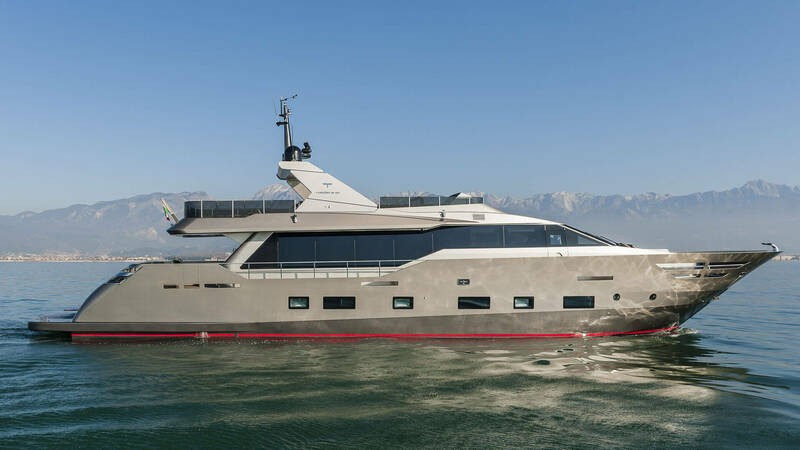 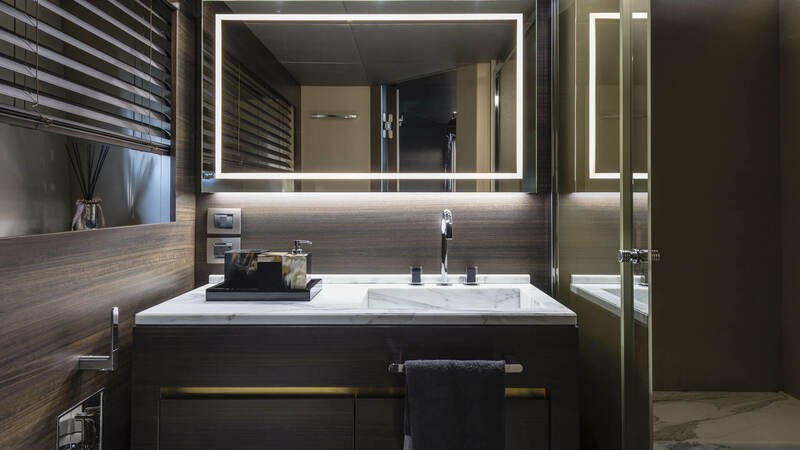 Designed by the Center Style of the Group and customized on ship-owner request, Zahraa combines comfort, wide spaces and high handicraft quality, with sophisticated interiors and an amazing light enclosure. 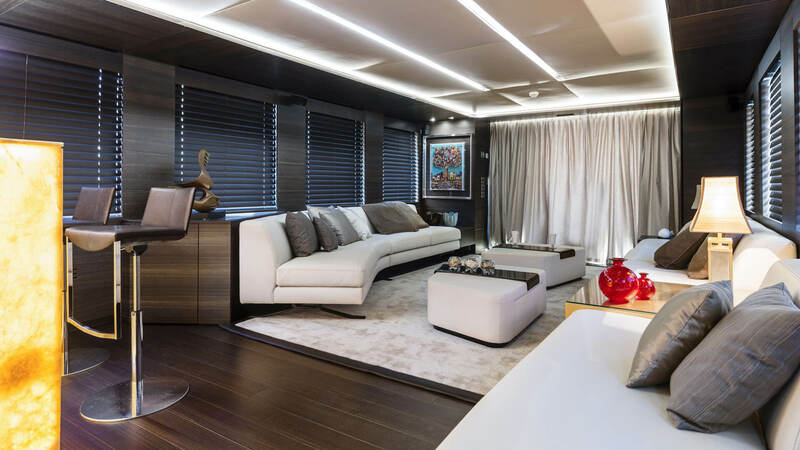 Thanks to the lowered rails and the extra-large windows, the natural light comes inside on the main deck and in the guest cabs. 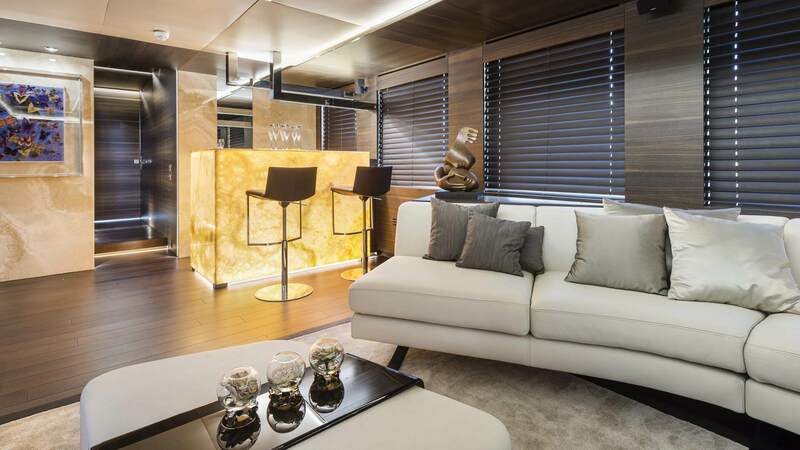 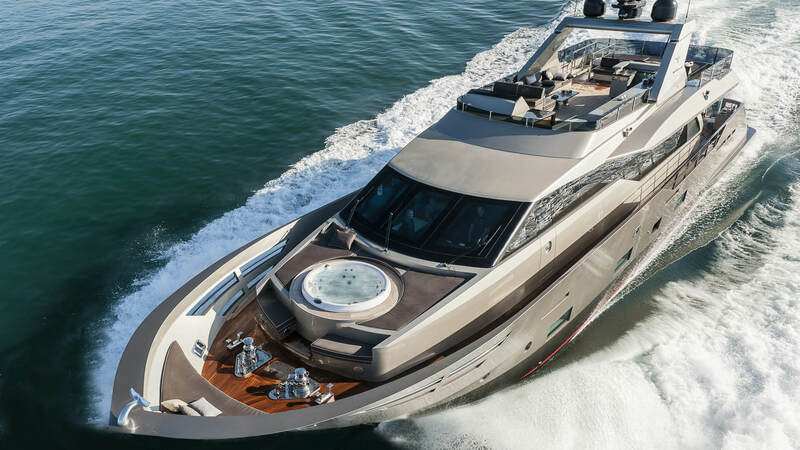 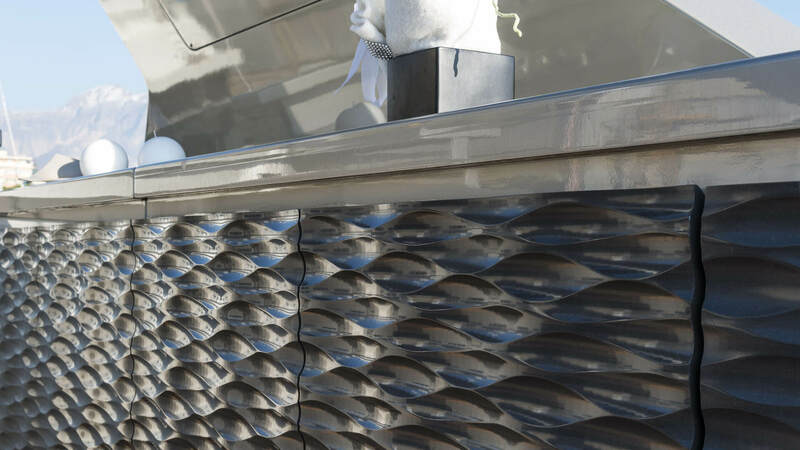 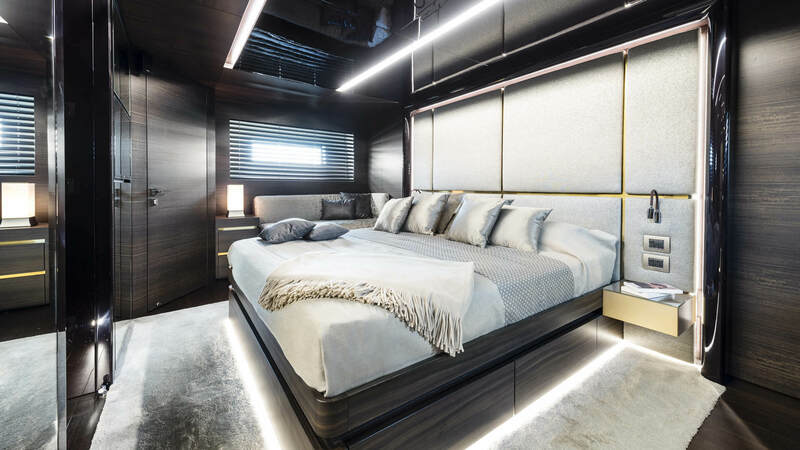 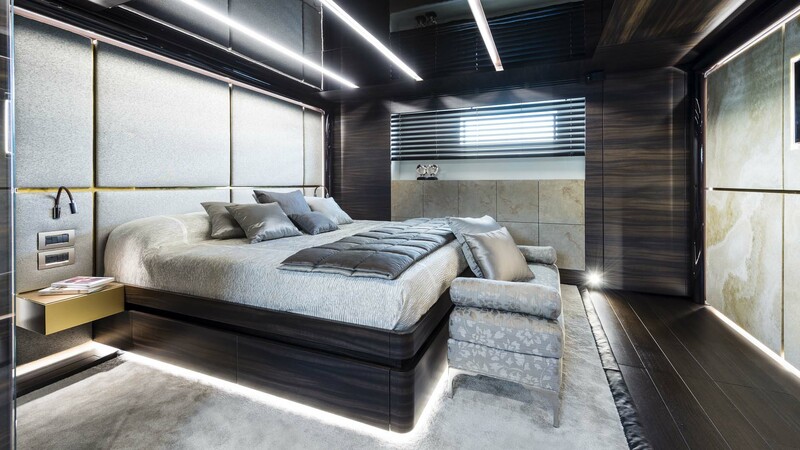 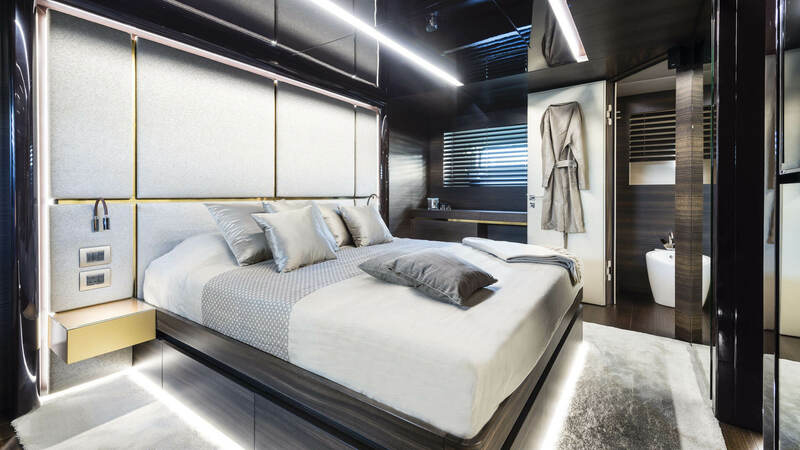 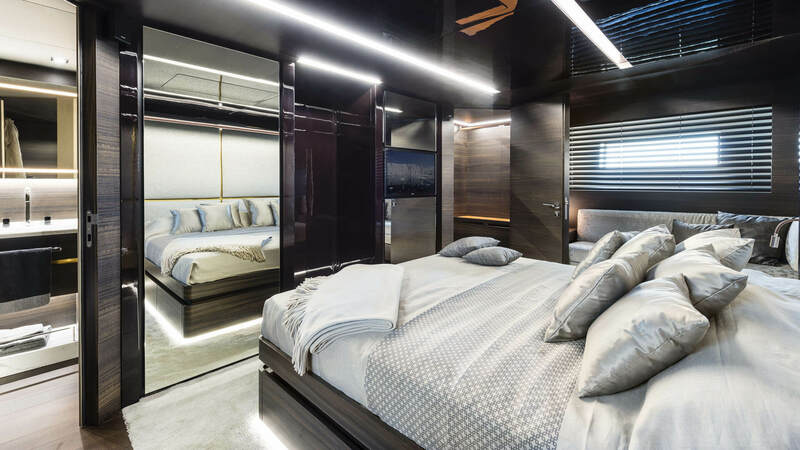 The main deck hosts a welcoming saloon where the onyx backlight wet bar with two modern leather sofas. 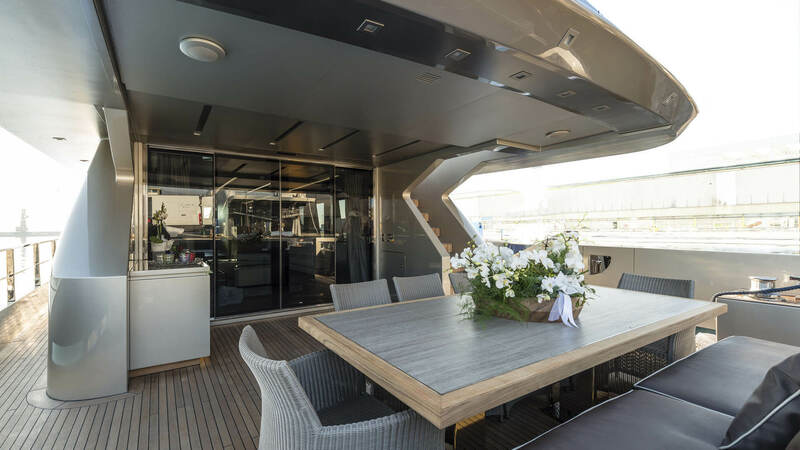 Beyond the deck there is the kitchen and the wheelhouse. 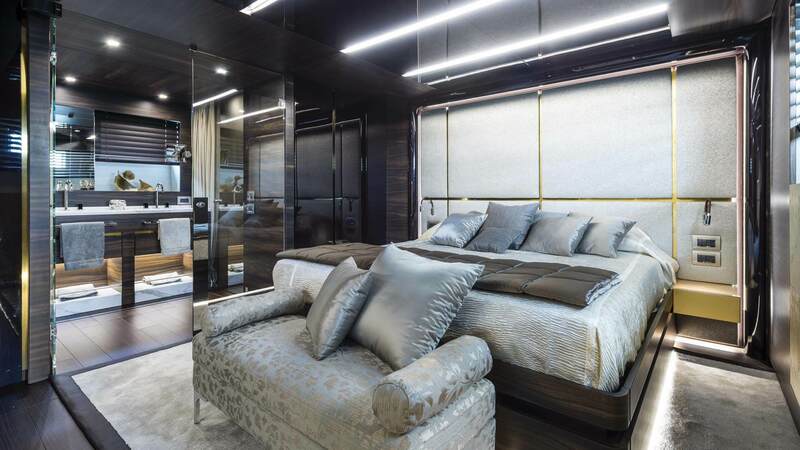 The bedroom area can welcome eight people. 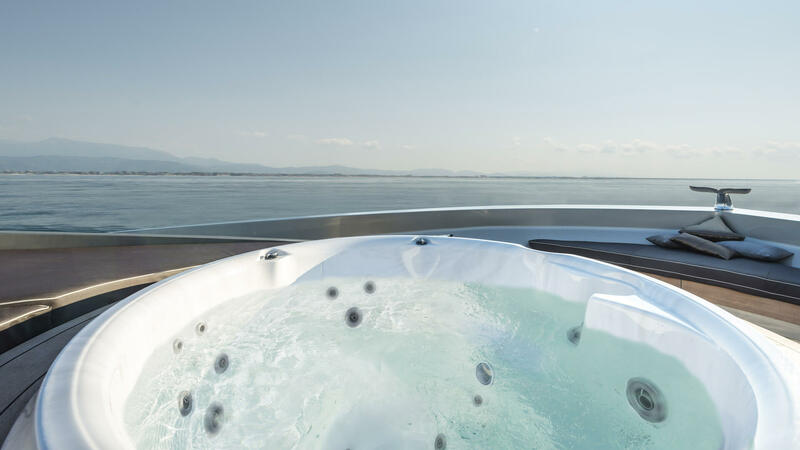 It has two marriage cabs, a VIP one and, on the lower deck, the ship-owner suite . 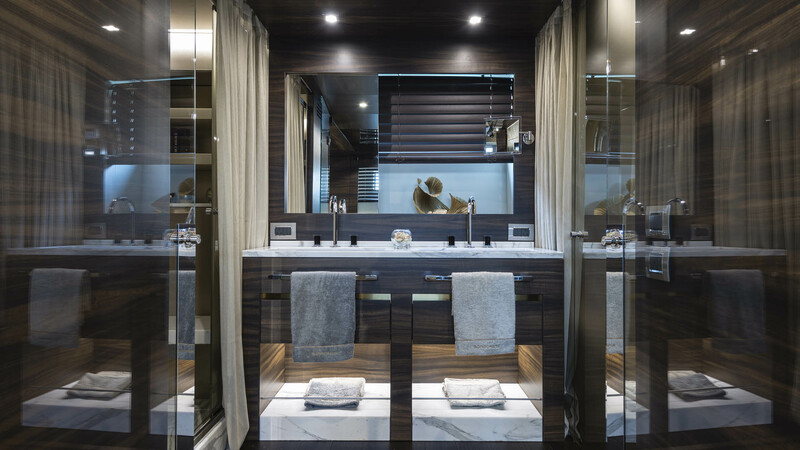 On the bow, with a separate access, there are the crew accommodation with a private bath room.